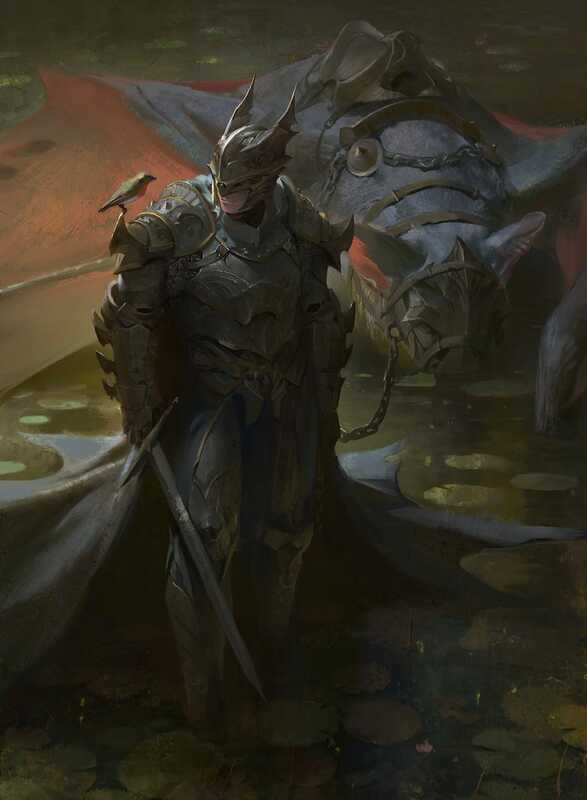 We've seen one artist portray Batman as a medieval knight battling and endlessly grinning Joker dragon, but this illustration by Jason Kang focuses more on what the medieval Dark Knight's armor might look like—and his might steed, the Bat...well...Bat. He even has a Robin. Kang is a concept artist at Disney Interactive, and he has tons more spectacular artwork in his ArtStation gallery: the Hulk vs. Wolverine, a different interpretation of Fullmetal Alchemist's Ed and Al, samurai orcs, and lots of fun monsters.